If you’re a commercial printer, you’ve no doubt spent some time defending the merits of direct mail. You’ve probably heard things like: “Direct Mail is too expensive”, “Email marketing is so much cheaper” or “People throw junk mail away.” While it’s true that some advertising dollars have been moved out of direct mail, the industry is still relatively healthy. Recent research has indicated that direct mail spending nationwide should grow approximately 3% in 2017. Direct mail is still one of the best options to get promotions and offers directly into the hands of consumers. This is especially true when compared to email marketing where the latest data suggests that over 98% of all emails go unread. With over 100 billion spam emails sent daily, we can understand why. However not all direct mail is created equal. You need to do everything possible to ensure that your campaign is a success. At Post Press Specialties, we’ve added print enhancements to tens of thousands of direct mail pieces. Here are some of the things we’ve learned over the past twenty-five years that will make your next campaign a hit. Say “No” to the ordinary. In order to get noticed, you have to have your piece stand out. If you’re sending your messages via a standard #10 envelope, STOP. Your piece will just blend in with the dozens of standard letters your prospect is already getting. One of the best ways to get noticed is producing an “odd sized” piece. You’ll have a much better chance if your piece is “unusual”. Our Young Shin 57” Die-cutter is perfect for producing pieces that are extraordinarily different. We are always telling designers to “stop thinking in right angles”. Chances are, if you can imagine it, we can produce it. Call us at 816-257-1919 and we’ll be happy to show you some of the innovative projects we’ve collaborated on. Don’t scrimp, Quality is key. It may be an old saying but it’s true: “You don’t get a second chance to make a good first impression.” This is especially true with direct mail. If a prospect isn’t engaged with your piece in the first few seconds, chances are they will never will. A study by MWV showed that consumers equate the “feel” of a sturdier mailer with a high-quality brand or offer. That perception can drive more consumers to read your message, respond to your offer and increase your campaign’s success. Thinner, cheaper and flimsier stocks can negatively impact your results. Keep this in mind when choosing paper stock. Saving a little can cost you a lot in the long run. Make your piece impactful. Compel the reader to pick up and touch your piece. With our expertise and state-of-the-art equipment, we can produce visually appealing pieces that command attention. Adding print enhancements like metallic finishes, 3D effects and foil embossing will increase your chances of success. Not only do enhancements increase the likelihood your message will be heard, but they also convey an underlying tone of quality for your product and brand. Our MGI JetVarnish 3D spot UV coater is one of our most prized pieces of equipment. The 3D effect that the MGI can do is truly amazing. Create a multisensory experience with your piece. Touching and feeling will create a connection between your product and the prospect. Adding tactile effects (like 3D effects) will create a visceral and emotional connection with the consumer. We can create a wide variety of print enhancements that will engage the consumer. Enhancements breathe instant life into an otherwise mundane piece. You will also be surprised on how cost effective enhancements can be. Direct mail has to feel personal to drive action. Sure, it’s impractical to design a piece specifically for one person, but try to make each prospect feel special. With variable print technology, we can show you how to tailor a piece for each prospect. Want to create a loyalty program and send personalized cards to each recipient? We can do that. Whether it’s small touches of personalization such as embossing a recipient’s name or full-on personalization through specialty kits, making direct mail personal and exclusive increases response rates and strengthens brand loyalty. Direct mail isn’t dead. In fact, it’s beginning to grow again. A well-designed direct mail campaign can be successful in any industry. Using print enhancements will increase response rates and make your campaign a rousing success. We’ve become one of the largest binderies in the Midwest by delivering innovative, creative print finishing services to the commercial printing industry for almost twenty-five years. Call Post Press Specialties at 816-257-1919 and we’ll be happy to discuss your next project. A recently published study by The Print Industries Market Information and Research Organization (PRIMIR) looked at print finishing services and their perceived and implied value. The study looked at 23 printing special effects, including glitter, gloss & matte, scents, scratch-off, glow-in-the dark, and textures printed with UV coatings and other specialty inks. According to Hal Hinderliter who conducted the study, “Adding value to print is often touted as a way to improve the profitability of print service providers, but until now there has never been definitive research on the topic.” Hinderliter’s team surveyed 577 print service providers (PSPs), trade service providers (TSPs), print buyers, brand managers, and vendors through in-depth phone interviews. We have become one of the most respected binderies in the midwest by helping commercial printers maintain and increase profitability. Call us today at 816-257-1919 and we’ll be happy to help you with your next project, big or small. We all know that in the ultra competitive environment of commercial printing, keeping your customers happy is critical to the long-term success of any business. Retaining a high retention rate within your existing customer base is the foundation of all outstanding and prosperous enterprises. While this would seem like common sense, many businesses fall short and ultimately fail because they don’t have a winning strategy to enhance and cultivate customer loyalty. 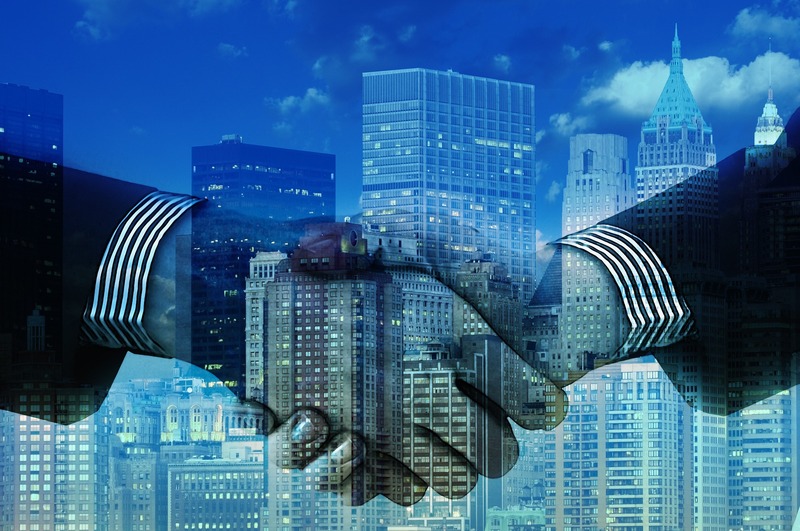 At Post Press Specialties, we’re all about building long lasting relationships with our customers. Throughout our almost twenty five years of service to the commercial printing industry, we’ve found that great customer service, engagement and integrity are more than just the right things to do – they are also good for business. We would like to share our “Great Eight” best practices and invite you to share some of yours. Research from the Corporate Executive Board that included 7,000 consumers from across the U.S. found that of those consumers who said they had a strong relationship with a brand, 64 percent cited shared values as the primary reason. If you want loyal customers, you need to create real connections with them. While we’re one of the largest binderies in the Midwest, we’ve never lost our “small town” sensibility. Our doors are always open. Call Post Press Specialties at 816-257-1919 and we’ll be happy to take you on a tour of our plant. In a recent research study from TARP Worldwide, they found that customers enjoy receiving helpful recommendations on new information and products that will help them achieve better results. We especially love to show our customers ways to reduce costs while keeping the integrity and outstanding quality of their print jobs intact. There isn’t a week that goes by that we don’t suggest a better (and often less expensive) way to finish a print piece. Numerous behavioral psychology studies have shown that everybody views their service experience as more positive when they don’t feel rushed or ignored. We have a personal relationship with all of our customers, big or small. We’ve become good friends with many of our clients. Countless case studies have made one thing clear when it comes to creating an efficient support system: You need to keep everybody in the loop. We pride ourselves on having many checks and balances during our quality control processes. We’re not perfect. However, we know that when something does go wrong an apology isn’t enough. We take ownership of our errors and make it right. Commercial printing is a tough industry and we know what it takes to succeed. When mistakes do occur, we painstakingly search for the reason and correct our processes so it doesn’t happen again. Over the past twenty-five years, we’ve gotten to know what commercial printers need. Post Press Specialties has become one of the largest binderies in the Midwest by listening to our customers. We pride ourselves on offering the most up to date finishing techniques by investing in our equipment and workforce. We never settle. We’re constantly adding new equipment to better serve the commercial printing industry. We’re especially excited with our two most recent additions: MGI Jet Varnish 3D Spot UV Coater and Young Shin 57” Die Cutter. Give us a call at 816-257-1919 and we’ll be happy to show you what these powerful machines can do. We are committed to treating all of our customers, big or small, exactly the same. It doesn’t matter if you have a $100 or a $1,000,000 job. 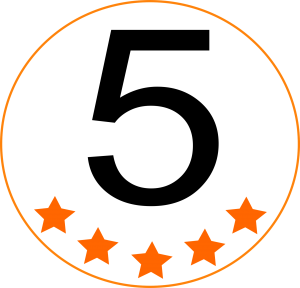 We’ll offer the same level of professionalism and expertise to everyone. There are many tactics, but no shortcuts; we know that we can’t “hack” a business relationship. Offering the most comprehensive finishing services to the commercial printing industry is our mission. Call us at 816-257-1919 and we’ll be happy to discuss ways that we can help. “Finishing Strong” is all we do. 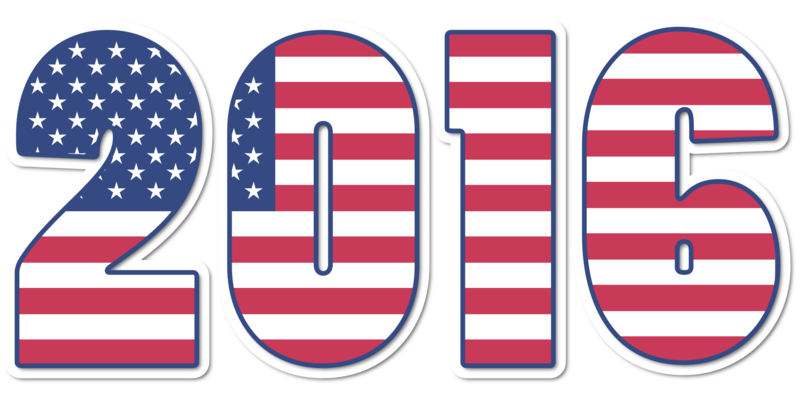 The results of the recent presidential and congressional elections will no doubt be digested for a long time. The effect of Donald Trump’s huge upset, as well as inheriting a republican senate and congress, is to say the least, an uncertainty. Forecasting how this and other economic factors will impact the printing industry is far from easy. However, we have enough data (courtesy of the Printing Industries of America) to draw some conclusions on the current state of the printing industry and what lies ahead. Printing shipments tend to expand when the economy is in a “mature recovery phase,” and this has been true of the economy the last couple of years. Print has been doing very well lately. Indeed, North American print markets have enjoyed robust growth and printer’s pricing and profits have strengthened. In terms of sales, according to the US Department of Commerce Census of Manufacturing data, printing shipments were up 1.6 percent through the first four months of 2016. In comparison, all US manufacturing shipments declined over the same period by minus 2.8 percent, so print exceeded all manufacturing by more than 4 percentage points. Another source, the Institute for Supply Management (ISM), tracks US manufacturing activity in their monthly surveys. Their surveys show that the printing industry ranks near the top in three key metrics among the 18 manufacturing sectors tracked: Printing is ranked number 2 in shipment growth of the 12 manufacturing sectors that experienced increases. The US economy is in the seventh year of recovery from the Great Recession of 2007–2009. 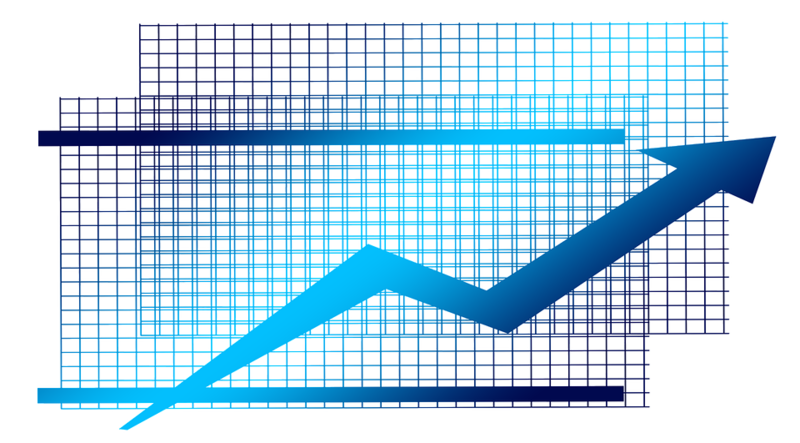 Although the recovery has been sluggish with fairly tepid growth, it has been a sure and steady climb without interruption. the severe displacement of print by digital media is now behind us, so print is back as an industry that will grow in normal economic times. PIA’s economic outlook estimates the chance of recession this year as high as 30 percent. As we mentioned before, it remains to be seen how a Trump presidency will affect the economy. PIA feels that the most likely scenario is a continuation of slow economic growth in the 2-percent annual range. Post Press Specialties feels that no matter how the economy is doing, our wide range of services are invaluable assets to all commercial printers, big or small. When you need post press finishing services, we’ve got the high-capacity finishing equipment, friendly people, and management team to deliver on your promises – and ours. Call us today at 816-257-1919. 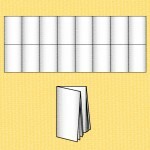 Basic Half Fold – (also known as a book fold) is constructed by folding an 8.5” x 11”, 8.5” x 14”, 11” x 17” or 11” x 25.5” sheet of paper once, creating two equal halves. 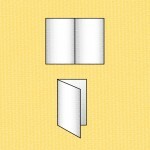 Classic Tri-Fold – A tri-fold is formed from one sheet is folded twice (in different lines between them, vertical and parallel) to form three pages, this is why it is called “tri-fold”. These three pages have two sides, which mean that the total pages that are available are six. 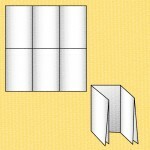 Gatefold – is a document folding method that uses two parallel folds to create six panels – three panels on each side of the paper. The left and right panels are roughly half the width of the center panels and fold inward to meet in the middle without overlapping. 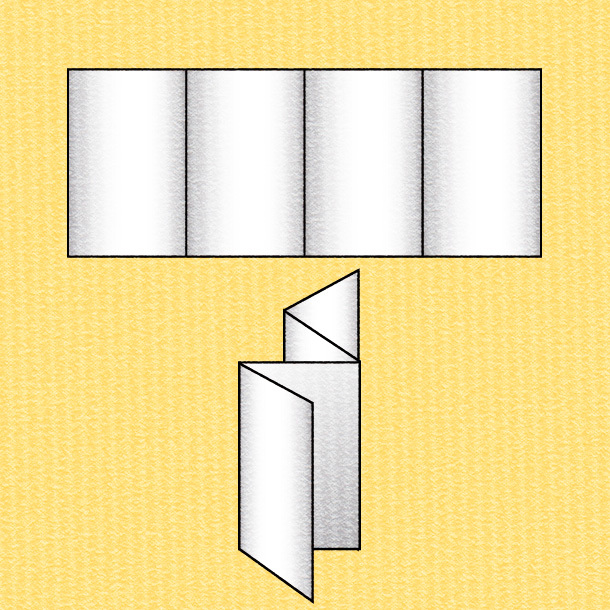 Sometimes a Gatefolded piece is folded inward one more time, along a central crease. 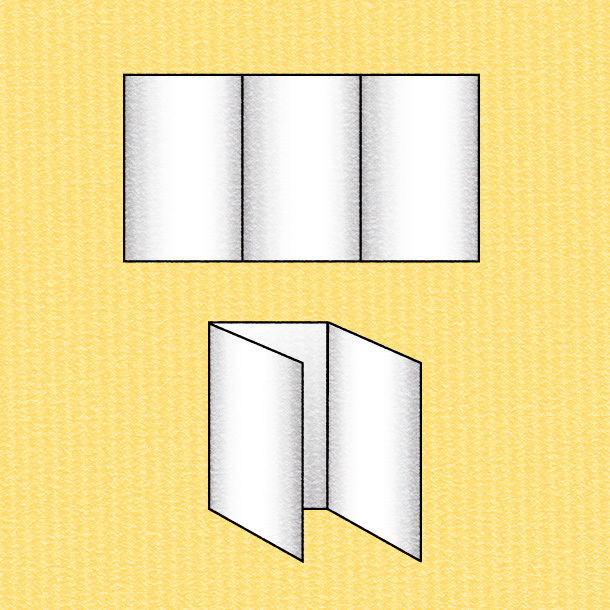 This method is called a Closed Gatefold or Double Gatefold. 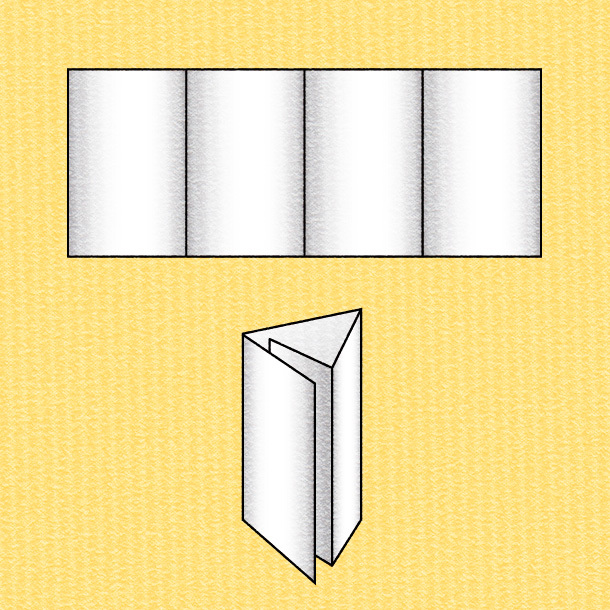 Four Panel Fold – is formed when the document is creased three times, usually equidistant from each other. This is perfect for promotional leaflets and programs. 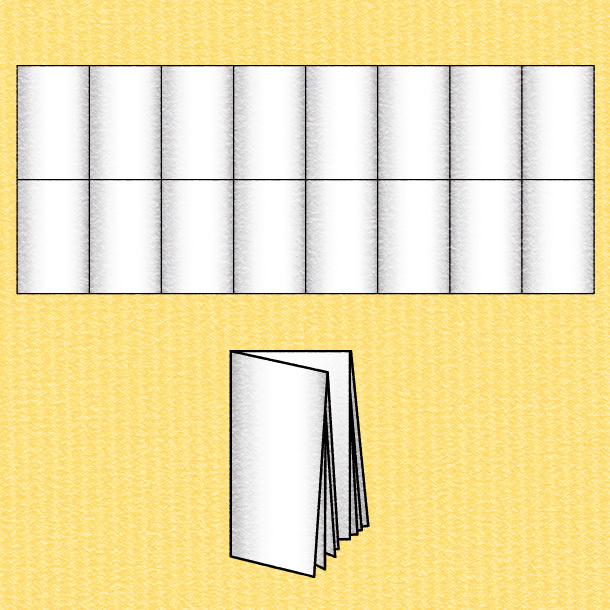 Double Gatefold – In double gatefolds there are three parallel folds. 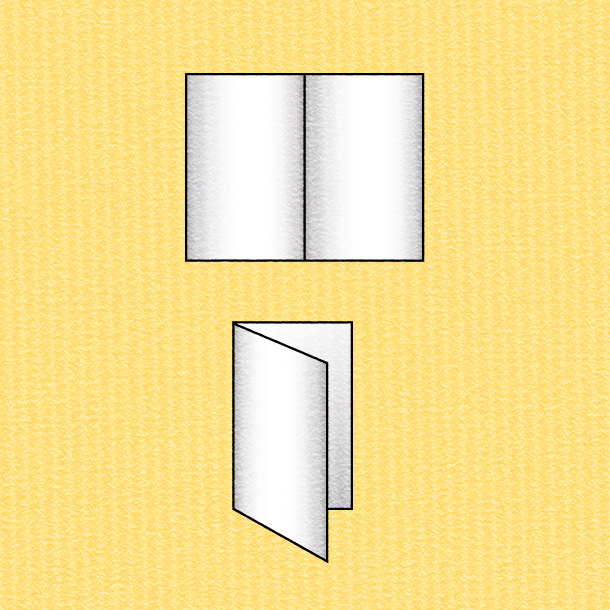 The left and right edges of the paper fold and meet in the middle, without overlapping, along a center fold. 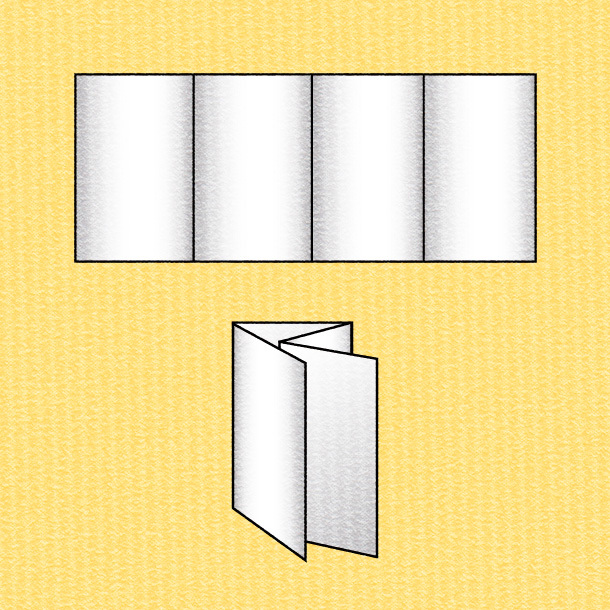 Some menus might use a double gatefold or a modified version where the outer panels are one-half to one-quarter the size of the inner panels. Z-Fold – A Z-fold brochure—also known as a fan fold or zig zag fold brochure—is constructed by folding an 8.5” x 11”, 8.5” x 14”, 11” x 17” or 11” x 25.5” sheet of paper twice in the shape of the letter “Z”. This is perfect for mailing and “quick glance” handouts. 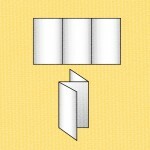 Four-Panel Accordion Fold – This is the four panel version of the previously mentioned “Z” fold. It makes a nice presentation. 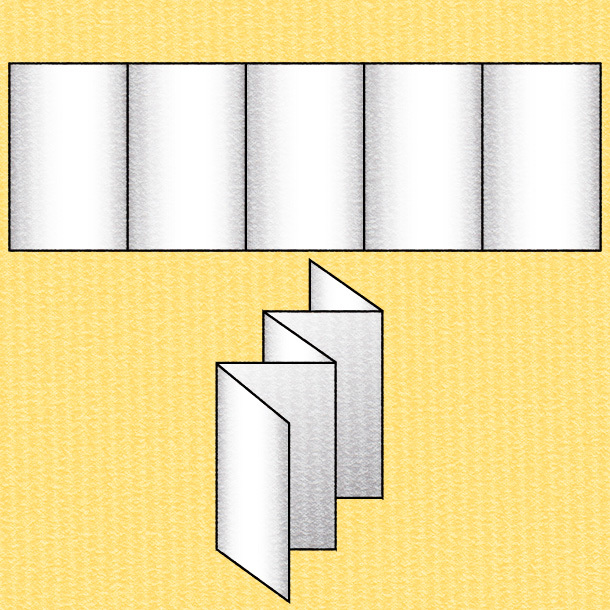 Zigzag type of fold, opens in the manner of an accordion, permitting the paper to be extended to its full size with a single pull. Perfect for travel brochures direct-mail pieces. 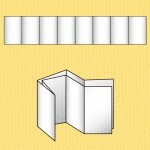 Four-Panel Roll Fold – Similar to the four panel accordion fold, 3 parallel folds are made creating 4 equal panels. 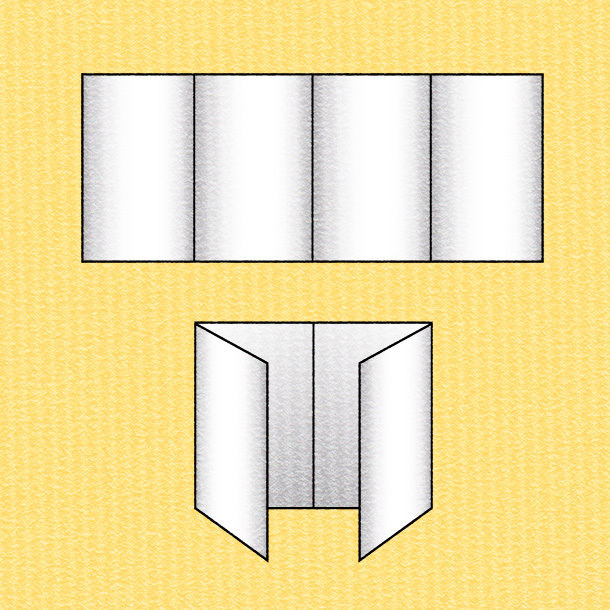 An inward “rolling” fold is perfect for step-by-step and tutorial information pieces. Die-Cut Z-Fold – Just like the regular Z-Fold this piece is constructed folding a sheet of paper twice in the form of the Letter “Z”. Die-cutting the shape of the sheet is a great way for designers to stylize their projects. Our Young Shin Die-Cutter can handle virtually every shape and size. Perfect for trade shows and booth hand-outs. 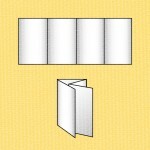 Five Panel Accordion Fold – this is the five panel version of the four panel featured above. Perfect for travel brochures. Post Press Specialties is your go-to place for intricate folding projects, like the five panel accordion fold. 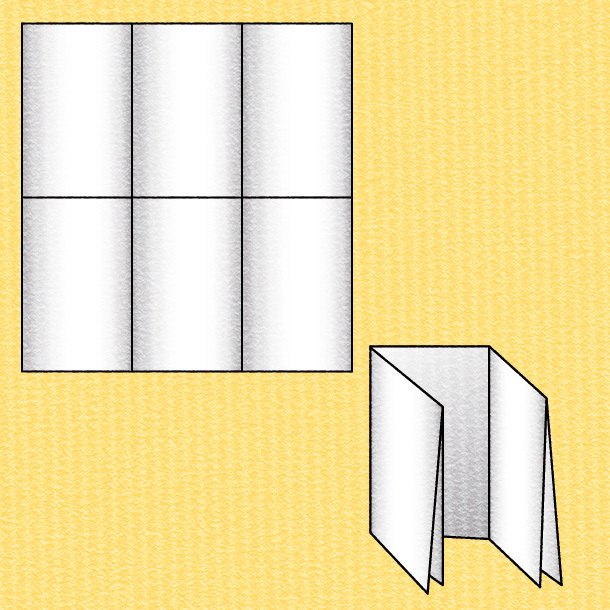 Tri-Fold plus Half-Fold – Folding your piece with a half fold then a tri- fold allows you to to design a large flat sheet in panels and sections plus multiple sides that unfold with a directed narrative while taking up the same amount of room as traditional tri-fold brochures. This process is perfect for maps, charts and large diagrams. 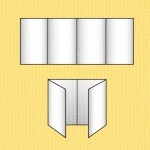 Eight Panel Roll Fold – Same technique as the four panel roll fold, but double the fun! Post Press Specialties has the equipment necessary to create these impressive pieces. The eight panel is perfect for promotional booklets. Sixteen Panel Fold – The possibilities are endless with the sixteen panel fold. We’ve worked with commercial printers and designers throughout the midwest and have created some amazing pieces. Picking the right fold for your project requires expertise. Post Press Specialties will be happy to guide you through the process. Call Post Press Specialties, one of the midwest’s largest bindery at 816-257-1919 today. We’ve been helping commercial printers “Finish Strong” for over two decades. That went fast. 2016 is winding down and the holidays are just around the corner. Time to start gift shopping, plan holiday get-togethers and think about sending holiday cards to your clients and colleagues. Many businesses leave holiday greeting cards to the eleventh hour and have to scramble to get them out in time. Effective planning and thought can create holiday cards that are not only are beautiful and sincere, but also serve as an effective marketing tool. If you’re ready to get a jump on the holiday card season, here are five holiday card tips that may be useful to you as you get started. You are already ahead of the game by thinking about your holiday cards now. In fact, right now is the perfect time to start designing cards. Be creative and don’t hold back. If you have a creative idea, but don’t know how to execute it, Post Press Specialties can help. We have over two decades of experience and have produced thousands of cards. You can either order cards from a traditional holiday card manufacturer or design your own for a truly special card. Post Press Specialties offers specialty die-cutting and foil stamping that will make your card really stand out. Remember that most companies send out the same type of card year in and year out. Have fun, do something different. Aside from using your actual business card incorporated into your greeting card, you can consider including some other forms of branding on your card. You will probably want to include your business name and URL, but also consider using your logo and even company colors to tie it all together. Post Press Specialties offers a variety of variable print options that can help you personalize your cards to each of your clients. The possibilities are endless. Call us and we’ll be happy to show you some of things we can do. Ask about our MGI’s Digital Foil personalization capability. Before you know it, the holidays will be here. Get a start on your holiday cards by giving Post Press Specialties a call at 816-357-1919. A few weeks ago, we posted a blog on the effectiveness of direct mail on young people (http://post-press.com/young-people-love-direct-mail/). Interestingly, the same can be said for older demographics. A recent study by Deft Research of older adults shopping for Medicare insurance finds that when communicating with seniors, direct mail is very effective. While conducting their annual “Age-in Study,” Deft Research surveyed 64-year-olds as they approached Medicare enrollment, as well as seniors who were enrolling late, and found that direct mail was a major motivator for many consumers to visit websites. Direct mail messaging was even more effective in the “upper income and higher educated” segments. For the first time in the 11 years of the study, internet shopping was the most frequent way that this age group shopped for health insurance. Deft suggests that direct mail can be very effective when the message offers unique shopping values, such as: advice, assistance and opportunities to targeted populations. If you want traffic to your website, direct mail might be the answer. 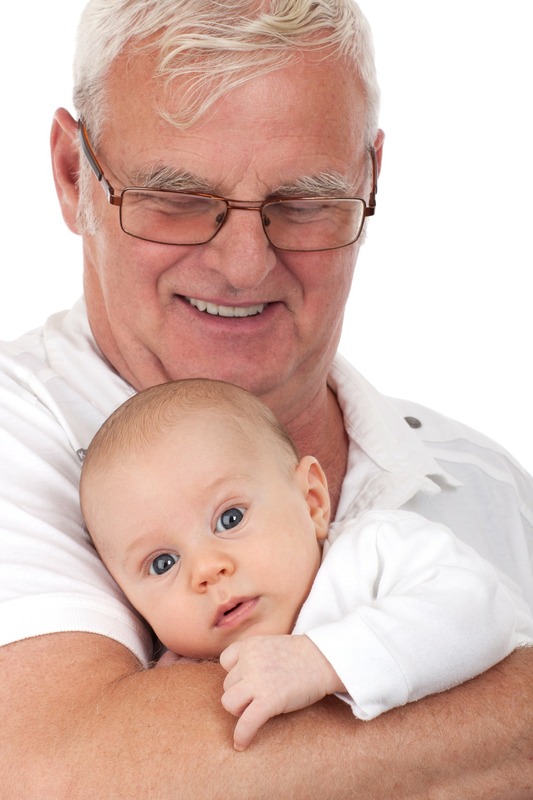 The study included 1,450 people who were 64 or up to three months past their 65th birthday and not enrolled in Medicare; 153 people aged 65 years and 4 months up through age 68 and not enrolled in Medicare; and 656 people who participated in Deft Research’s 2015 Age-in survey and were contacted again. Direct mail’s effectiveness will be even more pronounced when adding high visibility enhancements (see white paper). Post Press Specialties diverse manufacturing capabilities can increase the shelf life of any piece. Foil embossing, 3D spot varnishing and die cutting are just a few of the many services we provide. Call Post Press Specialties at 816-257-1919 and we’ll be happy to discuss your next project. While certain segments of the commercial printing industry have recently faced challenges, the packaging segment has remained robust. 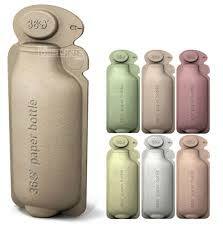 A recent study commissioned by Ink Type, projects that the packaging printing market will exceed $580 Billion by 2020. Mintel, a leading marketing research firm, has isolated several manufacturing trends that should continue throughout the rest of the decade. At Post Press Specialties, we’ve seen firsthand the profound changes that the printing packaging industry has undergone over the last twenty years. We’ve invested in the latest enhancement to print and finishing technologies (MGI 3D Spot Varnish Press and 57” Young Shin Die-cutter) in order to continually serve commercial printers nationwide. The unique capabilities of digital printing have captured the attention of retailers, brand owners, and packaging converters around the world. 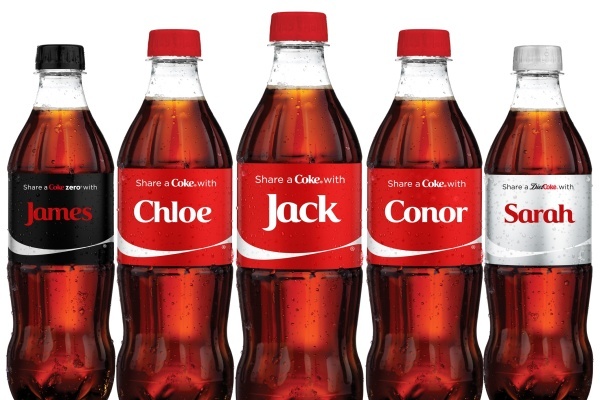 Brought into the global mainstream limelight by the tremendous success of Coca-Cola’s “Share a Coke” campaign, digital printing is capturing brands’ attention by creating opportunities to engage consumers on a local, personal, or even emotional level. 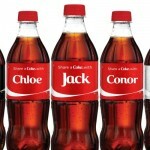 With 1 in 5 US Millennials seeking custom or personalized packaging, and nearly one quarter of Chinese consumers indicating they would pay more for personalized soft drink packaging, digital printing is positioned to grow well beyond industry estimates that it’s already accounting for 10% of packaging decoration globally. to move beyond using digital primarily for limited editions and personalization, and begin to capitalize on its economic and speed-to-market advantages for mainstream package decoration. a compromise. Presently, 32% of consumers associate flexible packaging with being modern, and brands are tapping into flexibles’ nearly unparalleled decoration and marketing opportunities. Add to that the ability to incorporate nearly any functional component of flexibles’ rigid counterpart, and the result is 56% growth in the launches of CPG flexibles according to Mintel’s Global New Products Database (GNPD) between 2010 and 2014. But at what point will flexible packaging, especially stand up pouches, become non-differentiated? And what should brand owners be thinking about next? looking to pouches to capture consumers’ attention, the truly innovative brands will be looking to the next generation of rigid/flexible hybrids that offer functional and environmental benefits alongside great shelf presence. 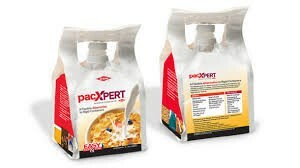 a small, trial-size pack, as brands’ product portfolios grow, the ability to reach consumers in unique and time-shifting use occasions means brand-owners must offer a greater range of pack sizes – both larger and smaller. In 2016, following such major downsizing strategies as those by Kellogg in 2015, if brand-owners are to overcome the growing lack of consumer brand loyalty, they must create and deliver packaging that consumers see as right-sized for themselves, their families, and shifting use occasions. Offering creative enhancements to packaging over the last twenty years has made Post Press Specialties one of the Midwest’s largest and most respected binderies. do with compostable packaging. But what is beginning to resonate are two key initiatives: a focus on alternative package material sources and catering to the 63% of US consumers who’ve stated that reusable and repurposable packaging is a key purchasing driver they see as being yet another link in the long and complex green packaging chain. When product price and perceived product quality are equal, consumers will be increasingly turning to these eco- and alternative-use attributes as the deciding purchasing factor. Going forward, brands cannot afford to ignore this “ecologically friendly” purchasing driver as they develop their brand positioning and marketing strategies. Post Press Specialties has become Kansas City’s largest bindery by keeping abreast of market trends and offering creative and innovative print enhancement solutions for over twenty years. Call us at 816-257-1919 and we’ll be happy to help you with your next project. According to a new joint survey conducted by the United States Postal Service and the American Association of Political Consultants, voters under the age of thirty pay closer attention to direct mail, particularly political advertising, than their older counterparts. With the 2016 presidential campaign in full throttle mode, these results are even more intriguing. Donald Trump and Hillary Clinton are both vying for the twenty percent of the electorate that under-thirty voters represent. It’s possible that in the battleground states of Florida, North Carolina, Colorado, Nevada, Pennsylvania and Ohio, these voters can sway the election. Millennials are more likely to read, discuss and use political mail. Over twice as many millennials thoroughly read political mail they receive (40 percent compared to 18 percent for non-millennials.) Additionally, they discuss political mail more with others (78 percent compared to 63 percent) and use mail to remind them when to vote. Political mail prompts millennials take action. Because of political mail, 66 percent of millennials are likely to research the candidate, with 54 percent visiting the candidate’s website. 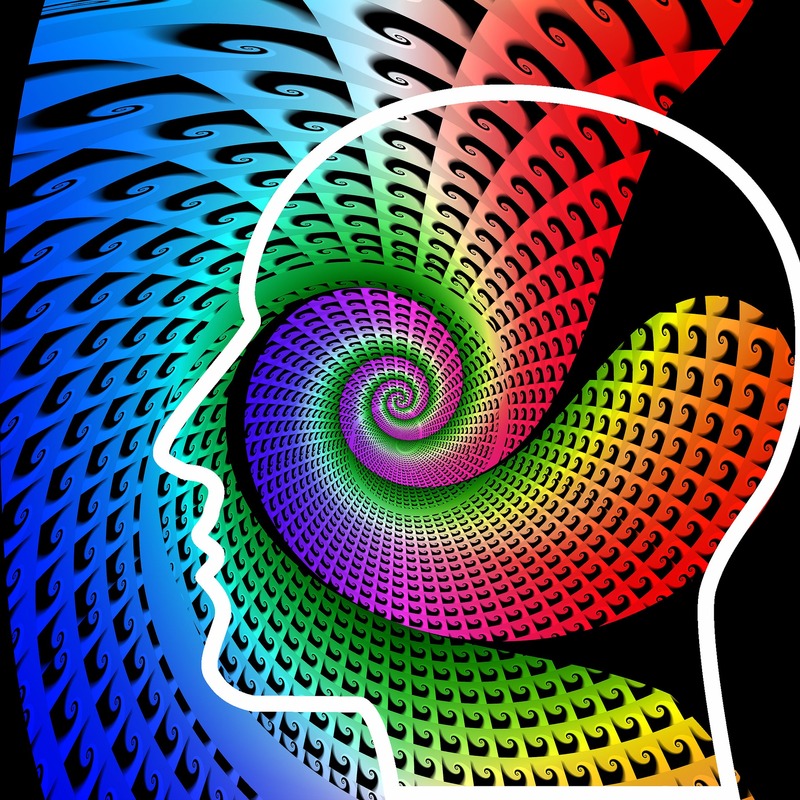 We’ve been offering creative print enhancement solutions to commercial printers for over two decades. Post Press Specialties, one of the Midwest’s largest bindery can help make your direct mail piece a success. If you’re looking to increase engagement on your next direct mail piece, give Post Press a call at 816-257-1919. The resistance to scratching or scuffing of a surface of paper. 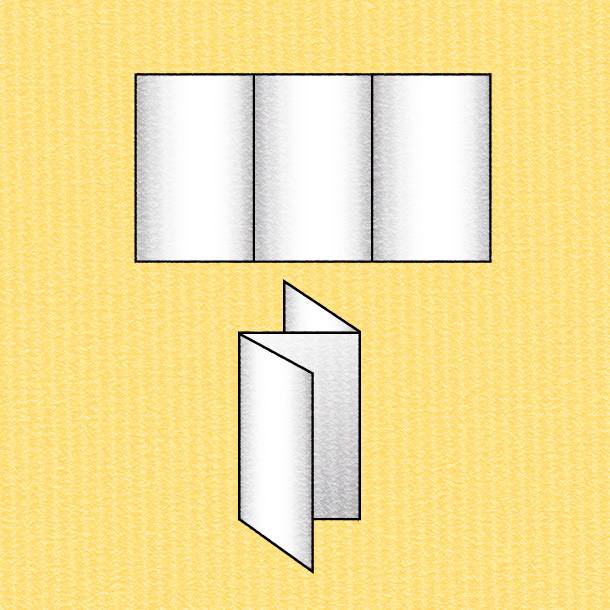 A type of paper folding in which each fold of a brochure runs in the opposite direction to the previous fold of the brochure creating an accordion affect. Post Press has helped hundreds of customers with their accordion fold projects. A clear or translucent plastic sheet material of a variety of colors used as an overlay usually. In photographic reproduction the primary colors of red, green, and blue which are mixed to form all other colors. Also known as RGB. This refers to a process whereby air is blown onto paper sheets to separate the sheets. Type size of 5 ½ points. A compressed air tool that dispenses a fine mist of ink; used in illustration and photo retouching software to create effects. In lithography, a plate manufactured with a barrier of aluminum oxide, which prevents chemical reactions that break down the plate; it provides optimum press performance and can carry very small dot %’s. Paper with a rough surface. An antioxidant agent used to prevent inks from skinning over in the can or on press. Water soluble coating that protects ink and enables quick handling of piece. Comes in gloss, satin, and dull-Usually done in-line. Water soluble plate coatings, which are less toxic and less polluting which enables quick handling of paper and high level of gloss. Any materials or images which are prepared for graphic reproduction and can be produced manually or by software. An envelope that is lined with fine paper; can be colored patterned or foiled. All illustrated material, photo and charts etc., that is prepare for reproduction which can be produced manually or by software. Changes made after the proof stage where a customer is responsible for additional charges. The fixing of material, either paper or cloth, to the inside of a book before it is bound. Can be colored, textured or finishes. Printing applied to both side of a sheet of paper. The spine of the binding which connects the front of the book with the back of the book; also called back or spine. Need “perfect” perfect binding? Call Kansas City’s premier bindery, Post Press Specialties. Image that appears faintest and the type is usually printed over the background and used as effect. Type that tilts to the left of backward direction; opposite of italic type, which is to the right. The top primary headline usually spanning the entire width of a page. Used to draw eye or grab attention. The support onto which printing plates are fixed and is usually metal. The foundation material onto which the film positives are stripped for making printing plates and becomes obsolete and was used primarily in the stripping process. Term used to describe the imaginary horizontal line upon which stand capitals, lower case letters, punctuation points, etc. Standard size of paper stock; even though it is required size may be smaller or larger. It is different for types of paper, book and cover weight. Got an odd sized job that needs finishing? Call us at 816-257-1919. Basis weight refers to the weight, in pounds, of a ream (500 sheets) of paper cut to standard size for that particular paper grade and varies based on coated, uncoated, book and cover. The steel flat table of a cylinder printing press upon which the type or die sits during the printing process. Type characteristic using bold or thicker lines. A thin but strong paper (opaque). A heavy paperboard with a cloth covering that is used for hardback or case back binding of books. 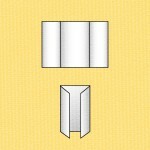 Various methods of securing folded sections together and or fastening them to a cover, to form single copies of a book. Used on a spine. We’re experts in Wire-O, Spiral Wire, Saddle-Stitching and Perfect Binding. Ink that is one of the process colors. Also known as K in CMYK. On offset presses a fabric-reinforced sheet of rubber to transfer the impression from the plate onto the impression cylinder. 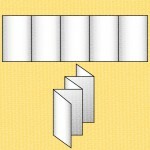 A printing method in which there are two blanket cylinders thought which a sheet of paper is passed and printed on both sides. Used on smaller presses or duplicators. Extra ink area that crosses the trim line. Raising of the image on paper using a die and counter die with no ink involved. Raising of images that are not inked or gold leafed. A problem that arises in the lithography process when an image loses it ink receptivity and fails to print. Illustrations or line are etched into zinc or cooper plates mounted to wood and used in letterpress printing. Enlargement of photos, copies or line art. Photographic proof made from flats for checking accuracy, layout and imposition before plates are made. Becoming obsolete. Type that has a heavier stroke that makes it more bold. A grade of durable writing, printing and typing paper that has a standard size of 17 x 22 inches. Used in business correspondence. A general classification to describe papers used to print books bookweight; its standard size is 25 x38 inches. A printed work that contains mare than 64 pages. Can be bound in a number of ways. A pamphlet to convey or promote message. Post Press has enhanced countless brochures with our advanced finishing services. A printing method whereby special ink is applies to sheets and then a powder is applied producing a metallic effect. Particles will come off on hand or in printers. A piece of binding machinery with rollers that fold the paper. A term used in plate making to describe applying light to “burn” the image onto plate. A term used for the process of “rubbing down” lines and dots on a printing plate. The measurement of thickness of paper expressed in thousandths of an inch or mils. Thin or thick, Post Press can work with almost any type of sheet. A term given to any copy, artwork etc., that is prepared for photographic reproduction. Can be manually created or created on computer. Instructions in the typesetting process, that indicate the use of a capital letter and the rest of the letters in lower case. The thick cover of a hardbound book. A paper that is coated with clay and then pressure dried using a polished roller which gives an enamel like hard extra high gloss finish. Print on paper where the absorption is so great that it breaks up ink image creating loose pigment dust. The roots of italic design. Frame of steel, or cast or wrought iron, in which images are locked up for printing and is used in letterpress or cylinder presses. Process where embossing and foil stamping are done at the same time. Process of cutting paper with guillotine cutter. Post Press Specialties is equipped with polar cutting systems with pre-jogging and stacking and 3 programmable cutters. One of the ink colors (blue) that is used as a process color (CMYK). Cutting shapes or non-square or rectangular shapes out of paper using die-cutting equipment. Post Press recently acquired a 57” Young Shin Die-Cutter that can do almost anything. Call us at 816-257-1919 and we’ll be happy to show you what this impressive machine can do. Printing done from digital file. The rubber coated rollers responsible for the distribution of ink from the fountain to the ink train in presses. Xerox machine that is high end production copier and only does black/black using toner. 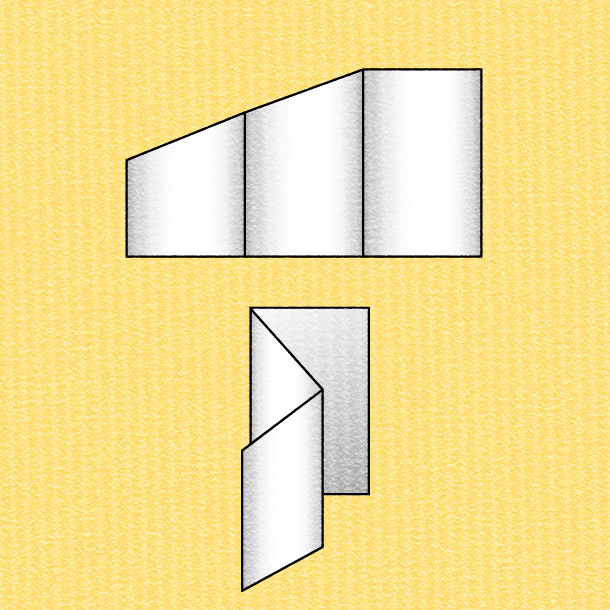 A dog Ear occurs when you fold into a fold (such as a letter fold). At the side of one of the folds an indentation forms. It may look like a small inverted triangle. This usually happens when folds are too tight. The smallest individual element of a halftone which can be expressed in %. A Dot Gain occurs due to ink absorption in paper causing halftone dots to enlarge or spread. Test of ink color before going to press. Solid stripes on paper to show what ink will look like. Describes additives to ink which hasten the drying process. The actual drilling of holes into paper for ring or comb binding which uses a bit that turns with sharp edges. Have a drilling job? Post Press can help. A shadow image placed strategically behind an image to create the affect of a shadow from light. Any matte finished paper that has very little reflection. A representation of copy and art elements to be reproduced to duplicate the finished product and has no ink present, which is also called a comp. A two-color halftone reproduction generated from a one-color photo with use of accent color. Paper which has a different color on each side. Odd number of cuts or pieces placed in different directions. A process of cutting many sheets from the same parent sheet in which the smaller sheets have a different grain direction. Finish of paper surface that resembles an eggshell achieved by omitting the calendar process. Toothy feel or rough. Composition of text, graphics and pictures. Proof generated from the computer file directly -Inkjet, dye sublimation, digital halftone. Dots are actually elongated to produce improved middle tones. A unit of measurement equaling 12 points. Paper finishing where a pattern is pressed into the paper when it is dry which also applies to using die and counter die to impress image into substrate. Post Press Specialties has 4 Hot-foil stamping machines. A term that describes coating on paper. A printing process whereby images are etched onto a plate. When ink is applied, the etched areas act as small well to hold the ink; paper is forced against this die and the ink is injected into the paper creating raised images. Producing an image on a plate by the use of acid. That stage of the photographic process where the image is produced on the light sensitive material. Paper folding that emulates an accordion or fan. Have you seen our Chameleon hi-speed folder/gluer? Ask us for a tour. The smoother side of paper usually a soft weave pattern used for book papers. The registration of the print on the substrate. Book or booklet etc. having the cover trimmed to the same size as the text. Process where foil is transferred via pressure and heat. We’ve become one of the Midwest’s leading binderies for foil stamping. 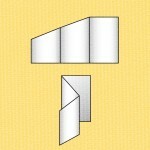 Markings that show where folds should occur which are located outside of a trimmed area. Machine used to fold signatures or brochures. We have 2 Mold marathons with final fold and bump-n-turn capabilities. Characters that make up a typeface and size. Usually means process printing (CMYK). Paper that is free from wood pulp. Term that represents printing in CMYK. Grouping multiple jobs or forms on same press sheet. To assemble sections into single copies of complete sets for binding. Need collating or gathering done? Post Press Specialties can help with their advanced high-speed vacuum feed collating lines. Noticeable difference in density of ink in certain areas next to larger solid areas due to ink rollers running out of capacity to carry enough ink. Image from one side of sheet showing through to other side due to ink gasses being trapped. Treating Gold leaf edges of books with a liquid agent and made permanent with burnishing tools. An area of image where halftone dots range continuously from one % to another gradually. Direction of fibers in a sheet of paper. Metal fingers that hold each sheet of paper as it passes through each unit of the printing press. Not to be confused with Ronald Reagan’s character, “The Gipper”. The side of the paper that the grippers hold to run through the press. 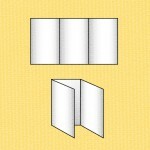 Fold where both outside edges fold into the middle thus creating a gate. Need single or double gate folds? Call Post Press Specialties at 816-257-1919. Machine that trims paper excess. Space between pages in the printing sheet. Very tight register which is the thinnest of the standard printers’ rules. Tone graduated image composed of varying sized dots or lines to make a image or picture. Ruled right-angled lines, used to translate the full tone of a photo to the halftone dot image required for printing. The margin between the top of the printed copy and the trimmed edge. Imperfections in presswork due to dirt on press, in ink or in paper. Stock that is thicker than normal in relation to its basis weight. The lightest tones of a photo, printed halftone or illustration. An adhesive used in the binding process. Area of the printing plate that carries the ink and prints on paper. High resolution output device for producing film from electronically generated page layouts. Arrangement of pages so that they print correctly once folded they are in paginated order. Product resulting from one cycle of printing machine where image is transferred to paper. Printed information to replace stamp. The well which holds ink and distributes in to the inking rollers. Ability of paper to not allow absorption on ink into paper. Type of proofing process or low quality production machine. Type that is slanted body forward. The paper cover that goes over a hardbound book. To vibrate a stack of finished pages so that they are even. Vibrating platform that evens up the edges of stacks of paper. The measure of space between letters. 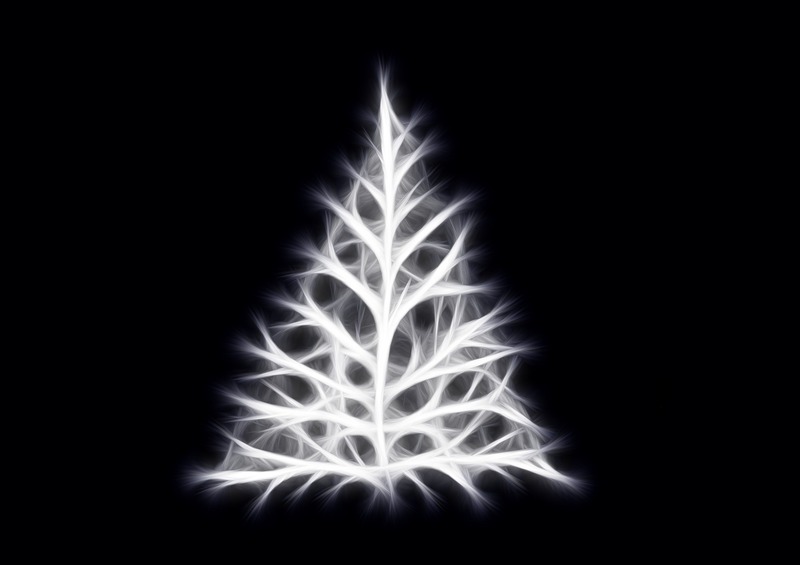 A light die cut that cuts through first layer but leaves base substrate uncut. A dummy that shows the placement of all the elements. Space between the lines of type. Printing that utilizes ink raised surfaces to create the image. The imprint is made by pressure. Letterpress is one of the services Post Press Specialties does best. kiss-cutting, perforating, embossing and numbering are just a few of the letterpress services we provide. Any copy that can be reproduced with out the use of halftone screens. A paper that copies the look and texture of linen cloth. The process of printing the utilizes flat inked surfaces to create the printed images. Also one of the primary colors (CMYK). Process of adjusting final plate on the press to put work in register. Photographic proof made from color flats to form a composite proof showing color quality this is now done digitally. A coated paper finish that has very little reflection of light or dull finish. A term used to describe finished artwork that is camera ready for reproduction, including all type, photos, illustrations. An undesirable halftone pattern produced by the incorrect angles of halftone screens. Papers that have a color similar to cream, off white or ivory. Film that contains the same images s the original print, except that all colors and shades are reversed, becoming obsolete. A term used for uncoated paper stock. Post Press Specialties can work with all kinds of offset sheets. Printing done to meet immediate demand needs. A light bond paper used for typing. It is very uncommon these days. Ability to prevent two sided printing from showing side to side. A quality of paper that allows little light to pass through. Ink that completely covers through which light cannot shine through. 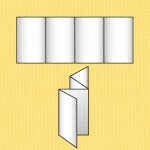 All folds are parallel to each other. If you have job that requires parallel folds, give Post Press Specialties a call at 816-257-1919. A hard finished paper that emulates old paper. 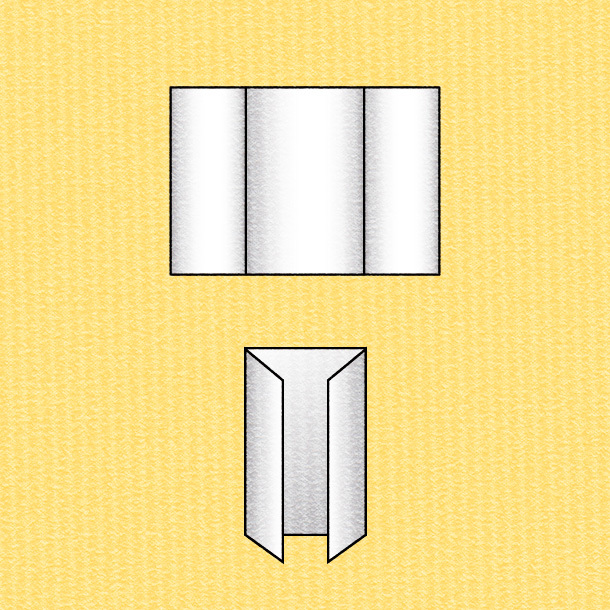 A sheet that is larger than the cut stock. Markings usually dotted lines showing where the perforations should occur. A term used to describe the binding process where the book makes a squared spine. Perfect Binding is one of things Post Press does best. Punching small holes or slits in a sheet of paper to facilitate tearing along a desired line. Call Post Press, Kansas City’s largest bindery for your next perforating job. Standard of measurement, 1/6 inch. 1 pica = 12 points 72 points = 1 inch. Reproduction of type or cuts in metal, plastic, rubber, or other material, to form a plate bearing an image that can be transferred. The cylinder on the printing press on which the plate is mounted. Machine that images plates directly from digital file. CMYK, Cyan, Magenta, Yellow and Black that create images in full color. A representation of the job given to the customer that should represent final product-this is the last stage before plating. Paper with a complete or partial content of cotton fibers. Any substrate that reduces the tack of ink. Any cross marks or other symbols used on layout to assure proper registration. A term that denotes fold that are 90 degrees to each other. Just one of the folds Post Press Specialties can do. Measure of inks ability to resist rubbing or scuffing. A pigment redder than true magenta and is used primarily in mixing other ink colors. Stitching where the wire staples pass through the spine from the outside and are clinched in the center which is only used with folded sections in four page increments. Post Press Specialties can do your next saddle stitch job efficiently and cost effectively. A paper that can not be altered or tampered with easily. An uncoated paper very similar to matte paper. Light indentation to help folding or tearing. Reduces or prevents cracking of folds. Want to score? Call Post Press at 816-257-1919. The placement of halftone screen in printing to avoid unwanted moiré patterns. Frequently used angles are black 45deg, magenta 75deg, yellow 90deg, and cyan 105deg. Ink film on paper due to lack of water balance. A cover made out of the same paper stock as the internal (guts) sheets. The printing of two different images on two different sides of a sheet of paper by turning the paper by turning the page over after the first side is printed and using the same gripper and side guides on press. Denotes runs with small quantities. 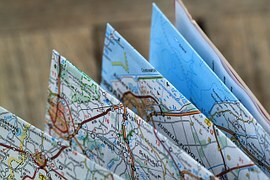 When the printing on one side of a sheet is seen from the other side and can be helped by using a more opaque sheet. The guides on the sides of the press that position the sheet sideways as the paper is led towards the front guides. This controls the sheet position sideways for registration. Stitching where the staples pass through the paper gathered upon each other and are closed on the underside. 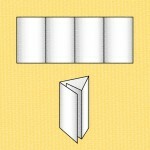 Printed sheet that consists of a number of pages of a book, paginated so they will fold and bind together as a section of a book-The printed sheet after folding. A term to describe the process of cutting of printed sheets by the cutting wheels of a folding machine. A binding whereby a wire or plastic is spiraled through holes punched along the binding side which allows the book to lay flat. Spiral wire binding is a specialty of Post Press. Area printed in a second color, other than black. The amount of increase in size of image to create ink trap. Device on a printing press that minimizes the amount of static build up on paper as it passes through the press to enable it run faster. A process of generating multiple exposures by taking an image and stepping it in a set measurement. A proofreader’s symbol that indicates that the copy, which was marked for correction is actually ok.
A term for paper or other material to be printed. We have worked with virtually all paper stocks. A machine that produces a high finished paper surface that is extremely smooth and exceptional for printing. Substrate not made from wood or cotton pulp. Usually petroleum based plastic materials. A dense, strong uncoated paper stock. Raised printing used to simulate engraving, which is printed offset with resin powder and heat that melts the resin on the ink. A solid screen that contains all the same % size dots. Type of solid ink particles that can be black or color and used on some types of short run digital machines. The rough surfaced finish of papers such as vellum or antique (Not smooth). Spreading or overlapping of colors or images into each other to not show white. Papers that are not smoothed by going through the calendaring press. A clear shiny material used to add gloss to printed pieces. (Also available in satin or dull). A finish of paper that is rough, and has a degree of tooth. Fade to white of illustration (A photo or illustration etc., in which the tones fade gradually away). An abbreviation for work and back (Reference sheetwise/Does not change gripper). An abbreviation for work and flop (Changes gripper). An abbreviation for work and turn (Does not change gripper). Cleaning a particular in from all of the printing elements (rollers, plate, ink fountain etc.) of a press. A translucent mark that is embossed during the papermaking process. The roll of paper that is used in web printing. 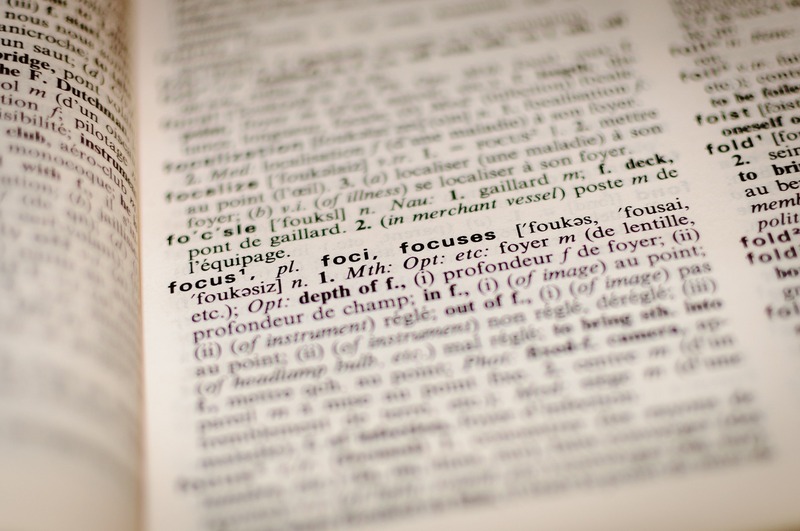 A single word or two left at the right end or a paragraph. To fasten together sheets, signatures, or sections with wire staples. We’re experts on wire-stitching and stapling. Call us at 816-257-1919. 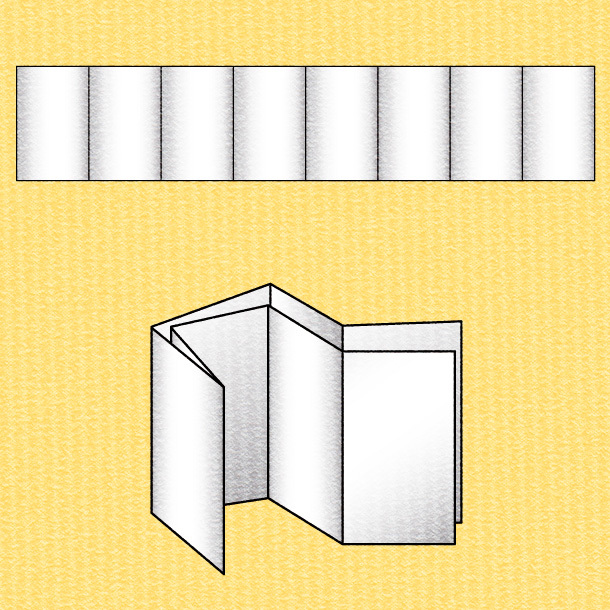 Brochure that is folded in the pattern of a “Z”. If you have a complex folding job, Z-fold or otherwise, call Post Press Specialties at 816-257-1919.